MINEOLA, N.Y. – Nassau County District Attorney Madeline Singas announced that a Guyanese man who killed a 19-year old wedding guest and injured another man at a Hicksville wedding in 1999 pleaded guilty today to murder charges. 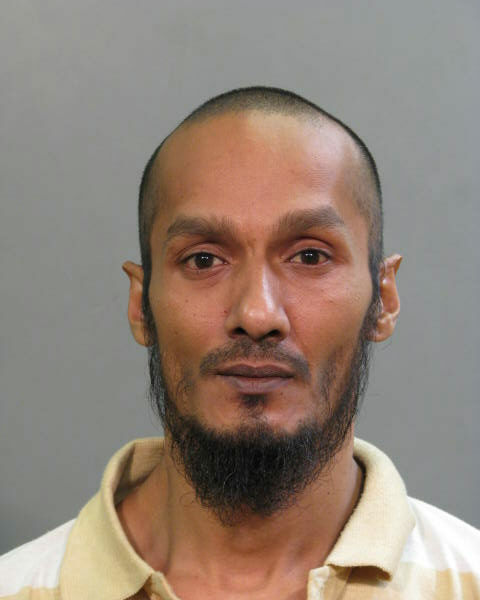 Balkumar Singh, believed to be 38 years of age, pleaded guilty in front of Supervising Judge Christopher Quinn to murder in the second degree (an A-I violent felony) and assault in the first degree (a B violent felony). The defendant is due back in court on December 12 for sentencing. Singh faces 19 years to life in prison. DA Singas said that on June 13, 1999, the defendant attended a wedding reception at the Masonic Hall on West Nicolai Street, Hicksville. Singh brought a 9mm firearm to the reception and became involved in an altercation on the dance floor. After the incident the defendant left the party and waited outside for Abzal Khan. As the victim exited the temple, Singh took his gun out and fired multiple times, striking Khan seven times. Witnesses described Singh as standing over Khan’s body while shooting him and the incident was witnessed by a crowd of at least 20 people. A 22-year old man, also attending the wedding, was shot in the foot and survived. The defendant, who had multiple aliases, ran from the scene and fled the country within days of the murder. He is believed to have traveled to Canada and Guyana before he was apprehended in Trinidad. On July 19, 1999, the Nassau County District Attorney’s Office filed an indictment charging the defendant with the crimes to which he ultimately pleaded guilty. Singh, also known as Tevin Persaud, was featured in a 2009 episode of the America’s Most Wanted television show. Based on a tip, the defendant was provisionally arrested by Trinidadian authorities in March 2015. The Nassau County District Attorney’s Office began the extradition process and Singh was returned to the United States on August 14, 2015, by members of the Nassau County Police Department Homicide Division, who worked in conjunction with U.S. Marshals. Assistant District Attorneys Jessica Cepriano and Victoria Mauri of DA Singas’ Major Offense Bureau are prosecuting the case. Singh is represented by Andrew Monteleone, Esq.